D: Since when did you start your career as a barberman? Cah: I started my career as a barberman since 2014, I still don't know anything, what is this cut? What model is this? That's what makes me wonder. Because I taught myself without guidance. Because of technological advancement, i can learn from youtube, i study ATM, what is ATM? A = Amati, T = teliti, M = modifikasi, so I try to explore myself and finally being like this now. D: Why are you interested in being a barberman? D: What services do you provide? Cah: The best service for sure. Every customer I serve, I always ask what kind of activities my clients are doing, so I can adjust what hairstyle is suitable for the activities they do. 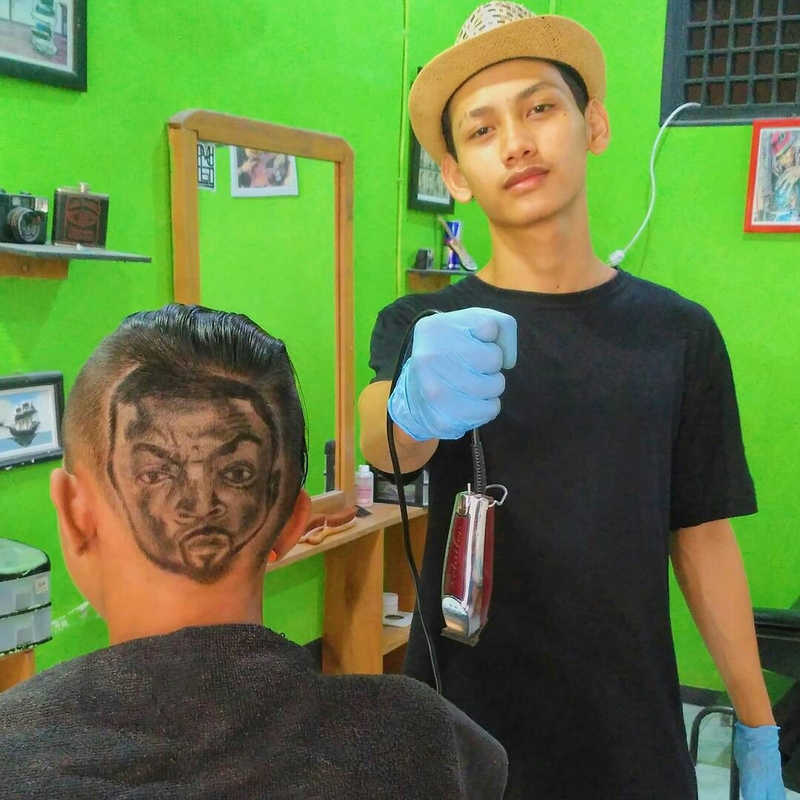 We know that barbershop definitely gives more satisfaction to its customers, because barbershop provides a myriad of satisfying services, whether from it's service, or it's convenience. D: last question, what's your favorite cut? Cah: I prefer to "hairdesign", "hairpotret", "texture", same "gradation" as "quiff", "messy", "same fade"